A projection initializer is a declaration for a member of an anonymous type that does not include a property name. Here’s an example, where the members of the anonymous type are initialized using local variables. 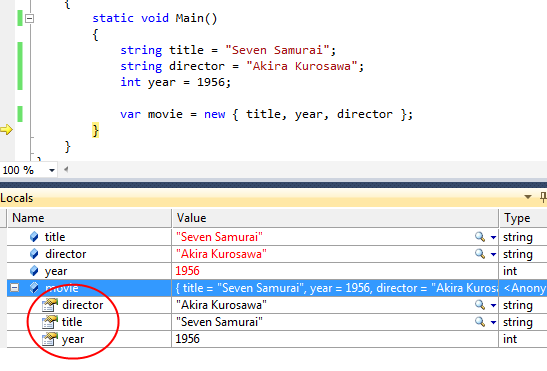 The resulting property names in the anonymously-typed object match the variable names. 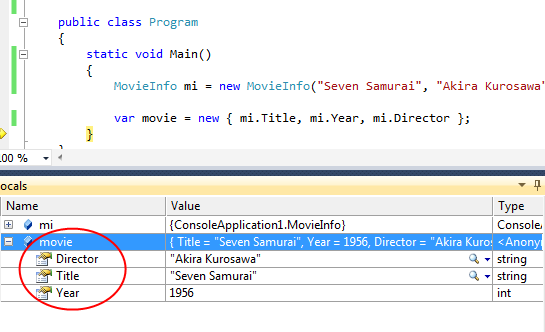 You can also use properties of another object to initialize the anonymously-typed objects members.